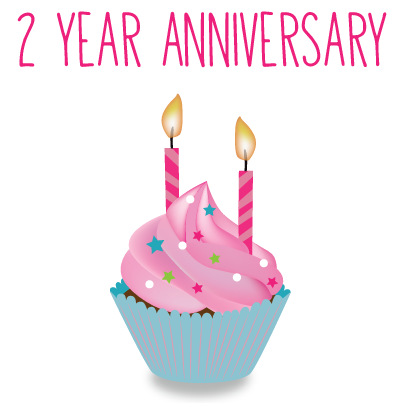 Today is my birthday and the 2 year anniversary of I Love Coffee! Today is my birthday and also the 2nd anniversary of I Love Coffee! 2 years ago today, I got this website (designed and coded just for me!) as a birthday present from Matt-san. He gave me this site as a playground to practice designing and coding, but shortly after I started the site, it became popular, and started attracting thousands of hits a day. This could have never happened without you, coffee addicts. Thank you all so very, very much. Before working on this site, my career was in education for nearly a decade, so ​I've often wonder​ed​ if I​ made a mistake dumping my former career to instead run a website​, but I feel like it's all worth it ​now​. Because I have some very exciting news: I GOT A BOOK DEAL! I'm going to publish a coffee book with Andrews McMeel Publishing (the same publisher as Gary Larson, Bill Watterson, Nom Nom Paleo, and countless other awesome books) and I've been working on it for the past few months, which is why I couldn't update my site as often as I normally do. It's almost done, and the book is coming out in spring of 2015. I hope I'm still alive by then. I hope you're still alive by then, too. I'd like to thank my friends who supported me through my hard times, and I really mean it. Also, thank you to Matt for teaching me how to draw, how to code, how to be good at internet, and supporting/helping/guiding me for the past 2 years with this site. Thank you to 37,609 Facebook followers, 5,005 Twitter followers, and 3,237 Google Plus followers. I would like to say thank you to each one of you and hope that we can one day drink delicious beans in a cup together.